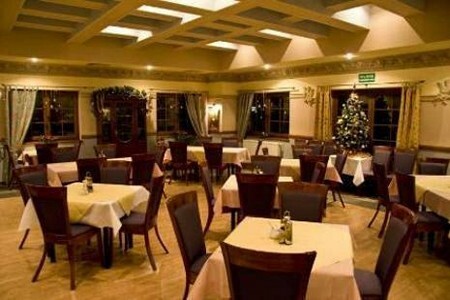 Gogolin inn is a beautifully located hotel that is actually called Karolinka, consisting of restaurant and hotel. 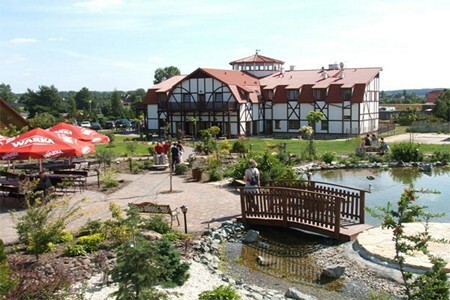 It is set in a large beautiful building with a red roof and a wall of Prussia. Perfectly reflects the character of the building, its climate and temperament of Opole Silesia. Karolinka is a place with character, in which the elegance and taste combine to create a unique atmosphere of each meeting. The cozy interior invites your family or friends to spend time savoring the dishes and admiring your favorite drinks. 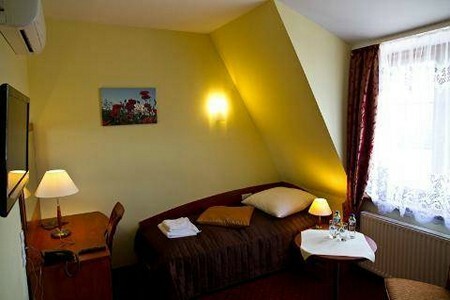 Karolinka Inn also offers beautiful surroundings. Around the building there's a picturesque, 2-hectare garden with a pond, lush vegetation and diverse avenues and areas suited to outdoor events. Guests with refined palates will have the ability to stop with us for a long time - because Karolinka Inn is also a 3-star hotel featuring 17 double and triple rooms with bathroom and shower, satellite TV, radio, telephone and internet and two camping cabins accommodating 16 people. In addition, customers are offered: air-conditioned rooms, parking, facilities for persons with disabilities, in the summer the possibility of spending time in the beautiful outdoors and use of the summer garden. 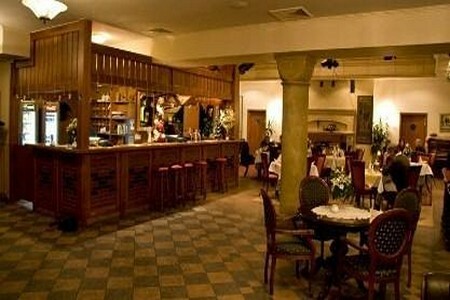 Karolinka restaurant is famous for its delicious and refined cuisine, which has both a range of dishes typical of many European countries, traditional Polish dishes as well as dishes, which boast the cuisine of Silesia.